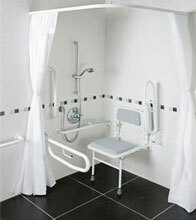 A hinged support rail that is fixed to the end wall over the bath. 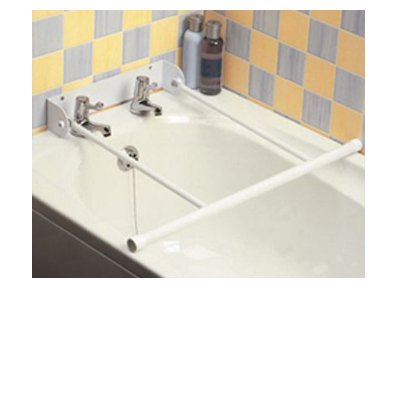 Useful when the taps are not suitable or strong enough for a tap mounted rail. The rail must be securely fitted to a sound solid wall. Distance from taps 475mm (183/4"). Internal width 33mm (13"). Width of handle bar 675mm (261/2"). Weight 2.1kg.